Your Guide to Scholarships, Awards & Bursaries - SchoolFinder.com! 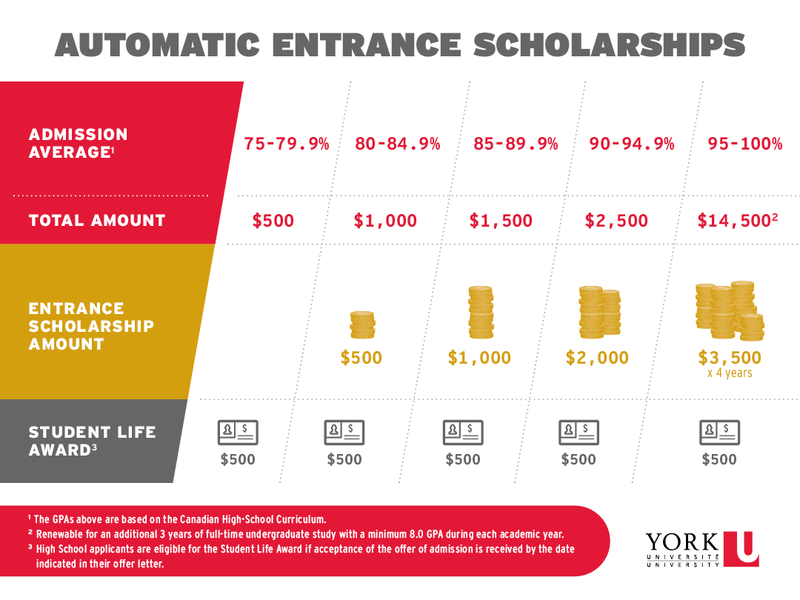 Learn about the financial support options offered by York University! Your first step is to explore York University funding options by selecting your applicant cohort on the Scholarships & Financial Aid website. This tool will help you identify financial support that you may be eligible for, including York University Automatic Entrance Scholarships of up to $3,500 per academic year, as well as external awards and on-campus employment opportunities. Once you have identified funding options, complete your Student Financial Profile (SFP) on MyFile. The SFP online application is required to apply for scholarships, bursaries and on-campus employment programs at York. 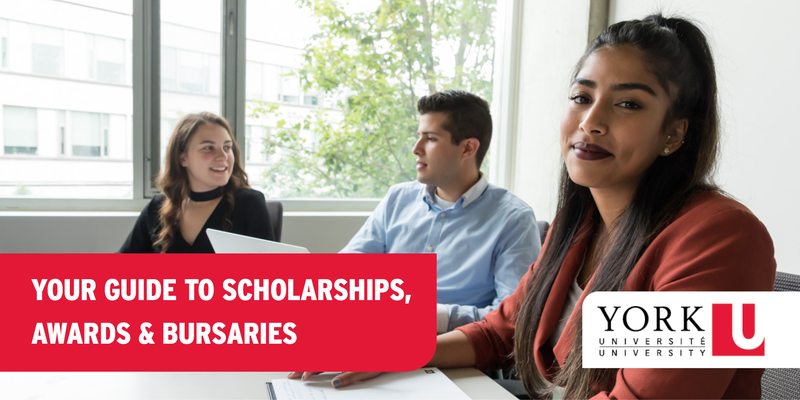 Some scholarships close as early as February 15, 2019, so complete your SFP before receiving an offer of admission to be considered for as many funding opportunities as possible. The SFP closes on April 1, 2019. Once you’ve researched funding options and prepared applications, it’s time to apply! York University Entrance awards are automatically granted based on your academic average, but others may require a separate application including reference letters and personal statements submitted through MyFile. Note that all York University Entrance Awards are initially based on current grades but are confirmed and finalized based on final grades. Figuring out how to finance your education can be challenging, but we’re here to help! To learn about scholarships, awards and financial aid at York, visit the Student Financial Services website or reach out to us on Facebook or Twitter.